VCP lit les surfaces CAO des outils de dépose composite ainsi que les informations de frontières de plis qui définissent les strates ou les couches de plis et crée les parcours de placement de fibres pour rajouter l’épaisseur matière selon les exigences spécifiées par l’utilisateur et les normes de fabrication. 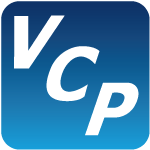 VERICUT Composite Programming (VCP) reads CAD surfaces and ply boundary information and adds material to fill the plies according to user-specified manufacturing standards and requirements. Layup paths are then linked together to form specific layup sequences and output as NC programs for the automated layup machine. Implementing automated composites requires a significant capital investment, alongside a steep learning curve. The expenditure in both cost and time inhibit many manufactures from instituting automation, despite the clear advantages. This paper will define important terminology, provide a business case for adopting automated composites, and point out considerations when deciding upon a machine. By shedding light onto these specific considerations, informed and successful steps can be taken to implement this constantly evolving technology. 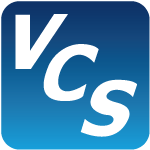 VERICUT Composite Simulation (VCS) is a simulated work environment for automated composites manufacturing. Through CAD models and NC programs, VCS simulates the sequence of NC programs on a virtual machine, including head changes, probing, knife cutting, and more. Material is applied to the layup form via NC program instructions in a virtual CNC simulation environment. The simulated material applied to the form can be measured and inspected for stack thickness, ply offset, ply angle, and other manufacturing priorities to ensure the NC program follows manufacturing standards and requirements. A report showing simulation results and statistical information can be automatically created.